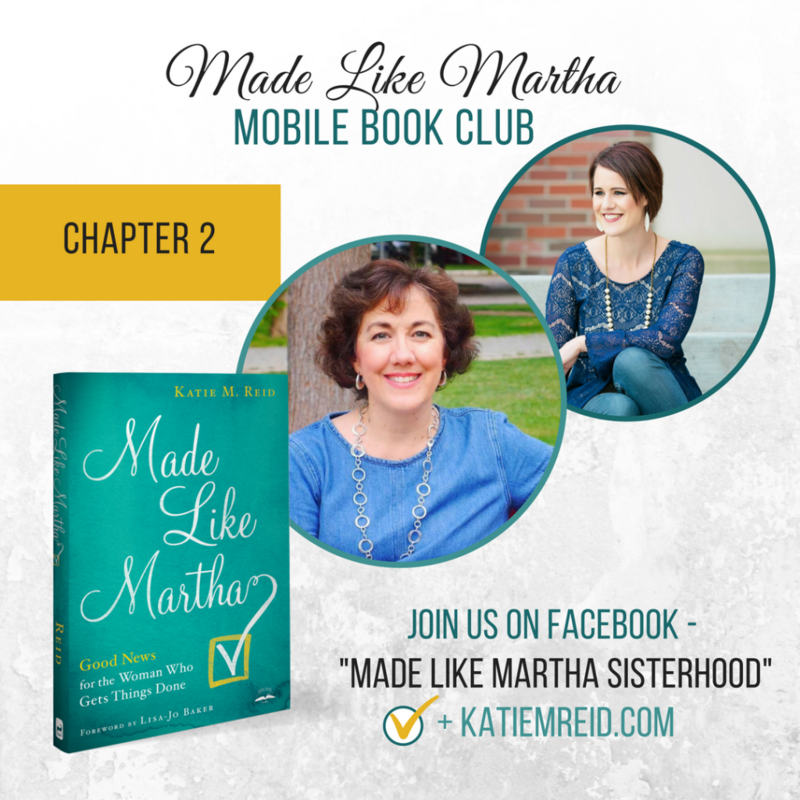 Welcome to Week #2 of the Made Like Martha mobile book club! We hope you’ll join us for the next nine weeks as we dig into this message of grace and freedom. As we discuss each chapter of Made Like Martha, I’ve invited some of my writing friends to take turns hosting our mobile book club at their place. 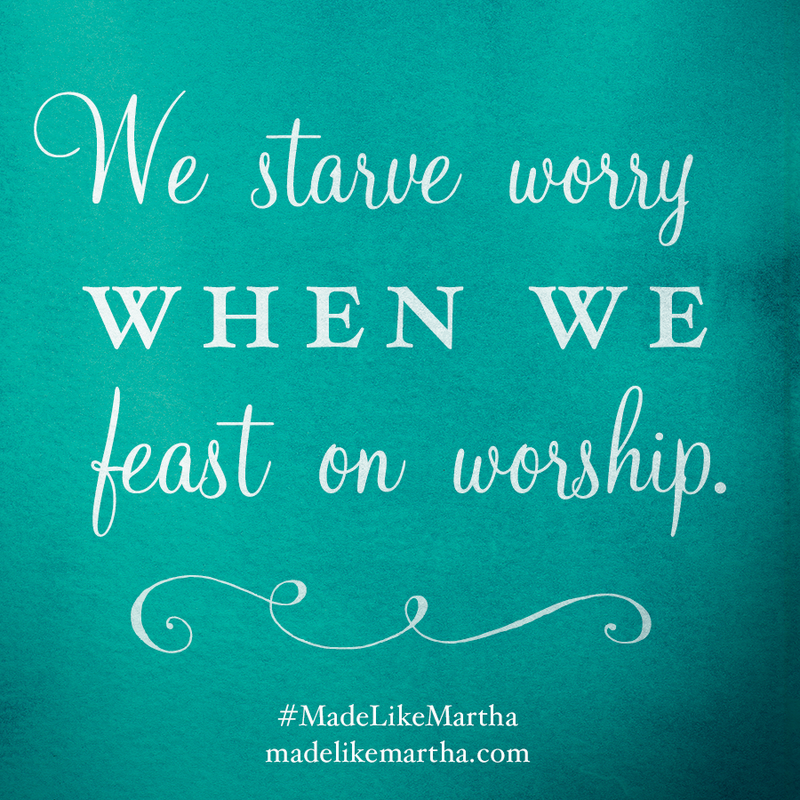 We’ll also interact over in the Made Like Martha Sisterhood (Facebook Group), so be sure to join it, if you haven’t yet. Today’s host will be joining me tomorrow, at 8:00pm EST, in our Facebook Group for a live chat about Chapter 2 (on Wednesday, August 1st). Disclosure: Affiliate links below. Full disclosure policy here. If you don’t have a copy of Made Like Martha yet, you can read Chapter 1 over here, and purchase a copy (paperback, audio, or ebook) over here too. Our host for this week is the lovely and encouraging, Betsy de Cruz. Betsy is a talented writer, a thoughtful friend, and has recently moved back to the states after living overseas. Let’s get started, shall we? Here’s the intro to Betsy’s post surrounding the theme of Chapter 2—the conflict between worry and worship. What if Mourinho stopped breathing during the flight? What if he got lost in Frankfurt during our one-hour transfer? What if US Customs turned our dog away? I tried not to worry while we did all the things pertaining to canine travel. My husband called the airline 17 times. We updated the dog’s vaccines and had a microchip injected in his back. We filled out documents 48 hours prior to departure, and at the airport, I gave him half the prescribed sedative. Relief flooded me when we handed Mourinho’s crate over to the airline. The dog was out of my hands, and there was nothing I could do but trust he’d be okay and enjoy the 24-hour trip as best I could. Fears for Your Kids (Guest post by Betsy de Cruz) This post is equal parts hilarious and inspiring! So grateful for you hosting the book club this week!